SMTP tab has its purpose if you are looking for sending emails using CAS alarms or any other mail sending service in myDESIGNER. From this smtp server, the emails will be sent. In next fields, there are more detailed informations about ports, senders of the emails, selection from verification or access data. 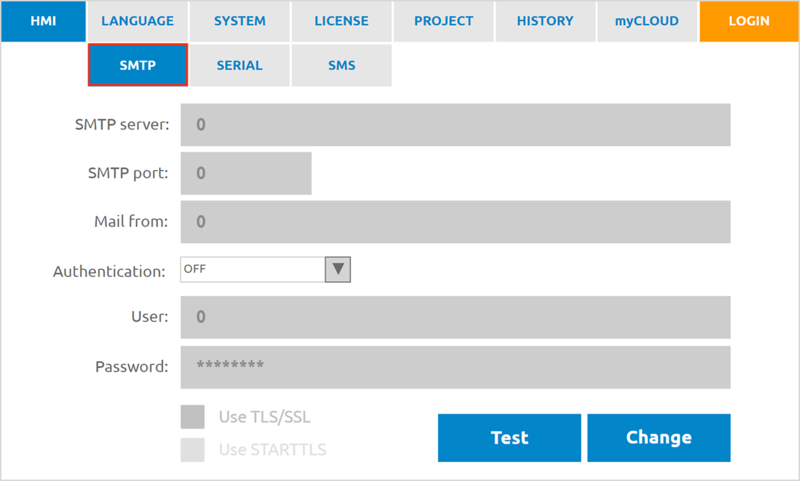 We can also select which variant of security is server using if TLS/SSL or STARTTLS. Then we can try, if everything is set correctly using button “Test” where we will fill email of the test mail receiver.